Severide is taking a shower with Brett's friend, Hope. 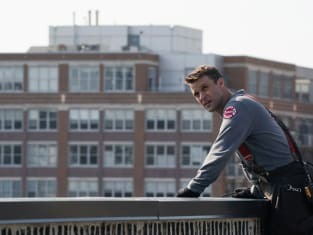 Lt. Casey gets off on the wrong foot with the temporary Chief on Chicago Fire. "An Even Bigger Surprise" is the third episode of the show's sixth season.